Once again, the media has seized upon an infectious disease in a third-world region and worked around the clock to convince Americans that the illness is epidemic in the US. The bird flu, SARS, and now Ebola. While the media frenzy will likely soon give way to hyperbolic midterm elections news, the danger of such over-hype is that it dulls the populace to truly important infectious dangers. This is not to say that Ebola should be ignored. Indeed, this virus has a horrifically high mortality rate and is injuring and killing thousands in West Africa. But fewer than a handful have been infected here in the US, none of whom has succumbed to the disease. Furthermore, unless you are a healthcare worker in direct contact with the body fluids from a symptomatic Ebola patient, you will never be at risk. In other words, you will likely never ever meet anyone who knew someone who heard about a guy who may have met somebody with that virus. But there is a viral infection that infects millions and kills thousands of Americans each and every year. And it is largely preventable. The seasonal flu. Yeah, the virus about which you are annually pestered, harassed and aggressively reminded to "Get Your Flu Shot!" And despite the wide availability of the flu shot (at your doctor's, at your local pharmacy, even at your office), often – perhaps more often than not – you don't roll up your sleeve and take one in the arm. After all, you "never get the flu." And even if you did, it's no big deal. It's the flu. The flu infects between 5 percent and 20 percent of us each and every year. For most of us, it leads to a miserable couple weeks of fever, muscle aches, severe congestion, and missed work and school days. But for many Americans, the flu is much, much worse. Each year, an average of 200,000 of us require hospitalization to treat severe complications, such as pneumonia, resulting from seasonal flu infections. And depending on the year and the viral strain, 3,000 to 49,000 of our friends and neighbors die from flu-related complications. Die. Not from Ebola. From the seasonal flu. Who is at particular risk of complications and death? The very young and the elderly, whose immune systems are not yet or no longer at full strength, respectively. And diabetics (that's more than 9 percent of us, including one in four Americans age 65 and older). And people with heart disease (several million there). And anyone who has or had cancer. Or COPD. Or asthma. In other words, a huge portion of our population is at risk of serious, even fatal, flu-related complications. And the rest of us are still at risk of the miserable flu symptoms. 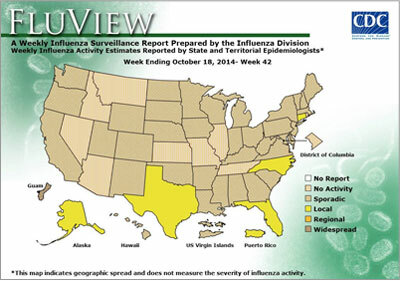 The Center for Disease Control now recommends the flu shot for virtually every American. And if you are squeamish or hate the needle and are not a member of certain high risk populations (such as cancer patients and survivors), you can skip the needle and be vaccinated with a nasal spray. So instead of listening to every alarming Ebola news story, why not drive over to your local pharmacy or stop by your doctor's office and get your flu shot. And wash your hands, frequently. And stay away from the sick guy at work. And stay home from work if you're sick. After all, the seasonal flu is a true annual American epidemic, and you can protect yourself. 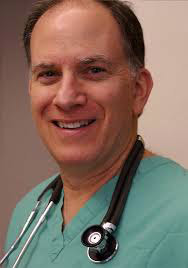 Dr. Peter Edelstein (@OwnYourCancer) is Chief Medical Officer for Elsevier Clinical Solutions. He is board certified by the American College of Surgeons and the American Society of Colon and Rectal Surgery. He has more than 35 years of experience practicing medicine and in healthcare administration.